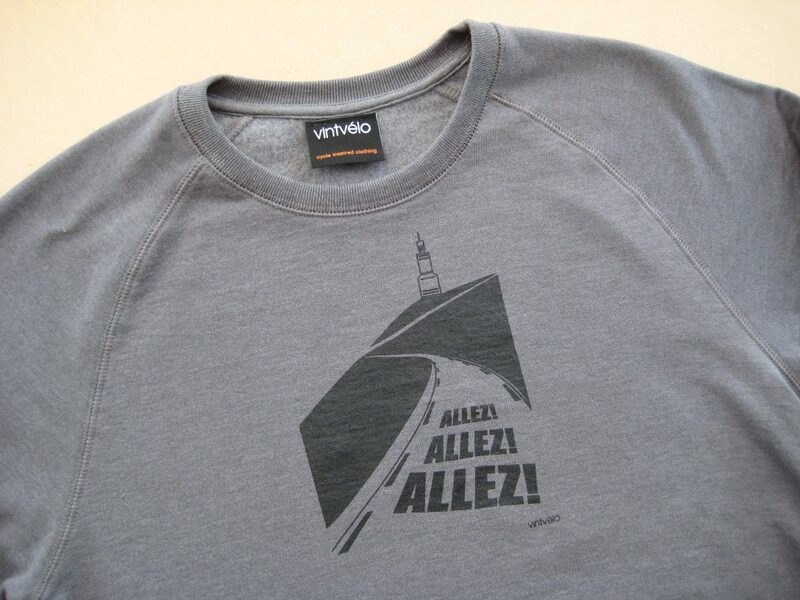 Save 15% this week on our Ventoux T-shirts and sweatshirts using voucher code “Ventoux”. 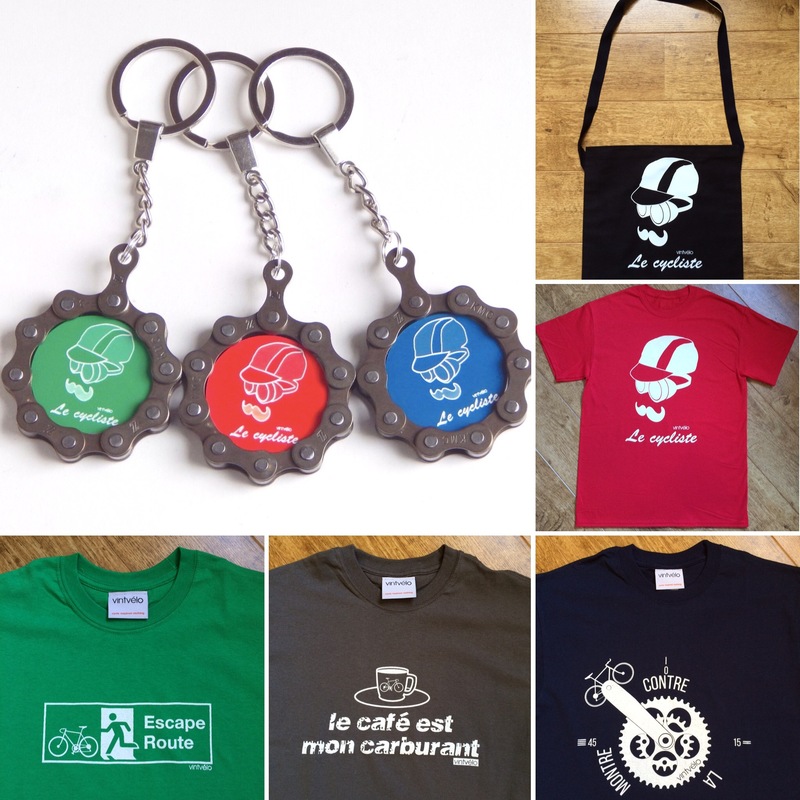 Loads of T-shirts now reduced to just £8.00, bike chain key-rings for £6.00, and musettes from £12.00. 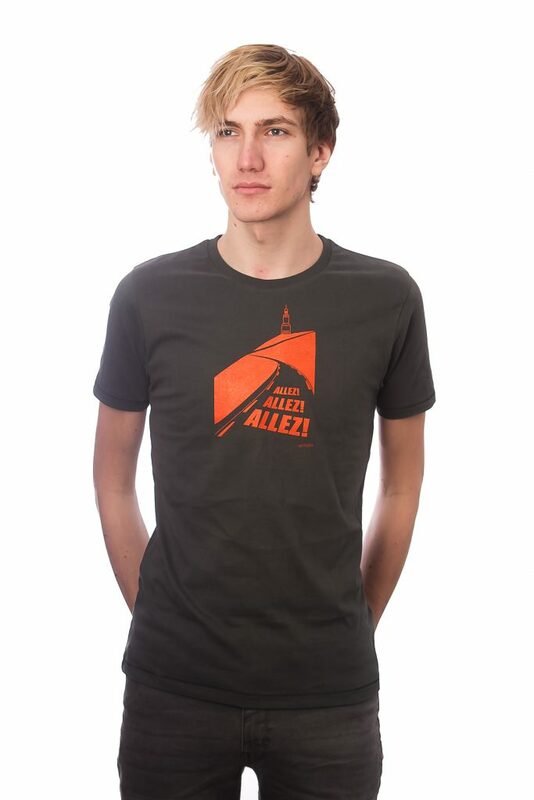 Our very latest “Allez! Allez! 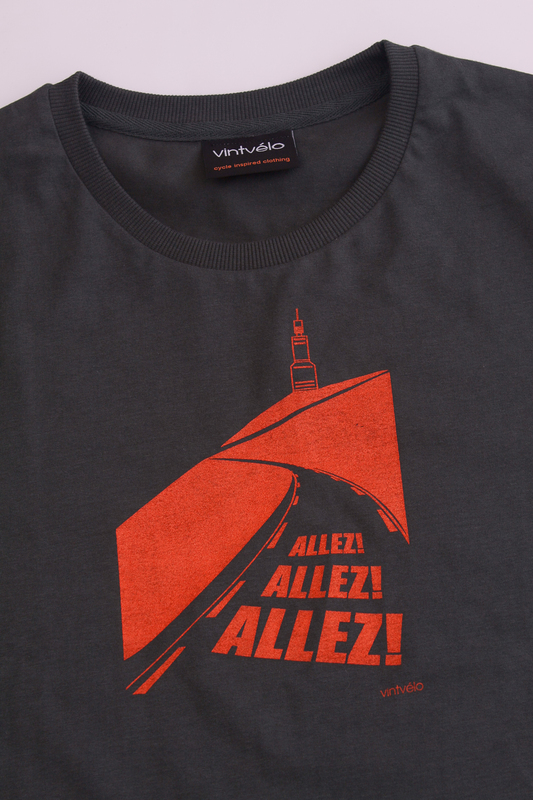 Allez!” Mont Ventoux design is now available! 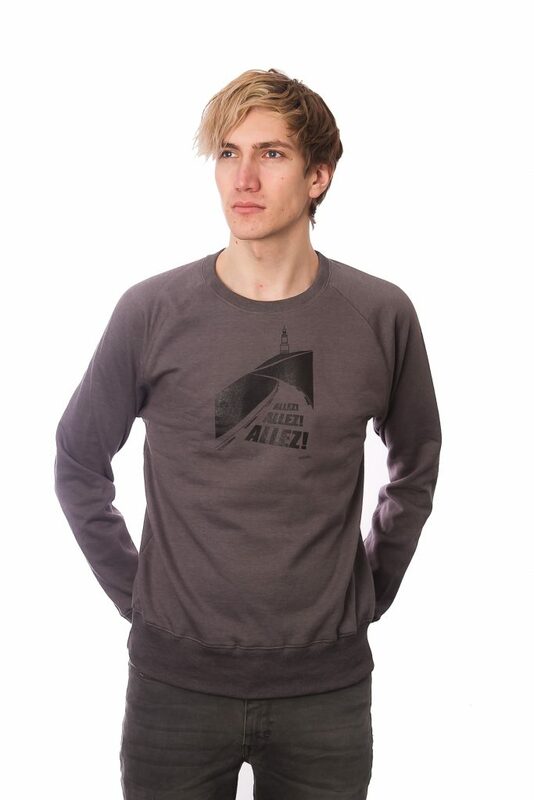 With a choice of supersoft jersey cotton T-shirt or 100% recycled raglan sweatshirt. Shop NOW! 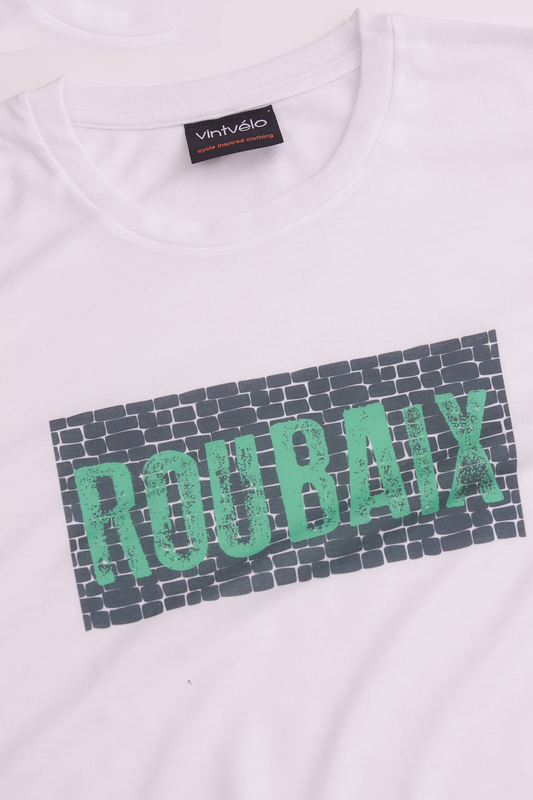 and receive 10% off with voucher code “ventoux”. Offer available this weekend only. Mud, sweat, beer and frites! 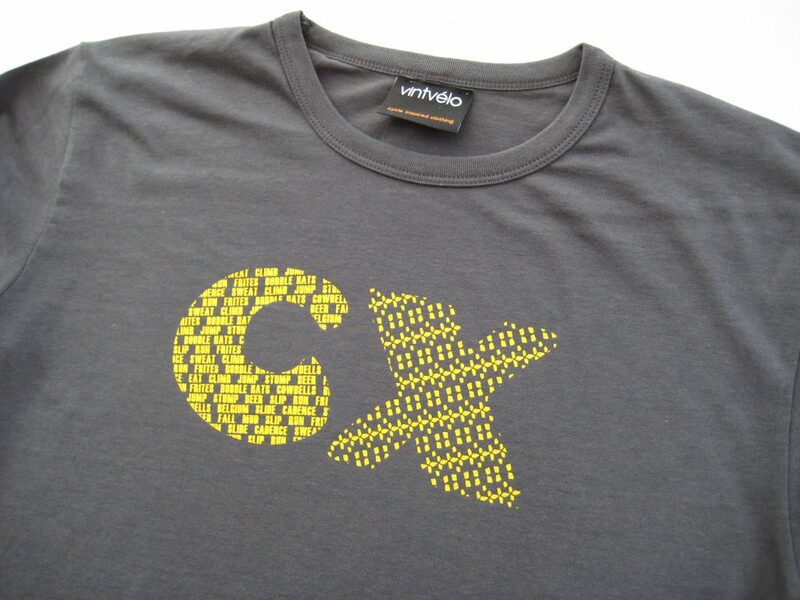 With the cross season upon us we’re delighted to launch our latest cyclocross inspired design! The graphic design is a “C” of cyclocross inspired words; “climb, jump, frites, bobble hats, sweat, cowbells, stump, run, beer, Belgium, slide, cadence, fall, mud, slip, run”. Featuring an “X” made from tyre treads. This yellow design is screen printed onto our luxuriously soft bamboo jersey T-shirt. Loads of T-shirts reduced to £10 in our big Summer Sale! 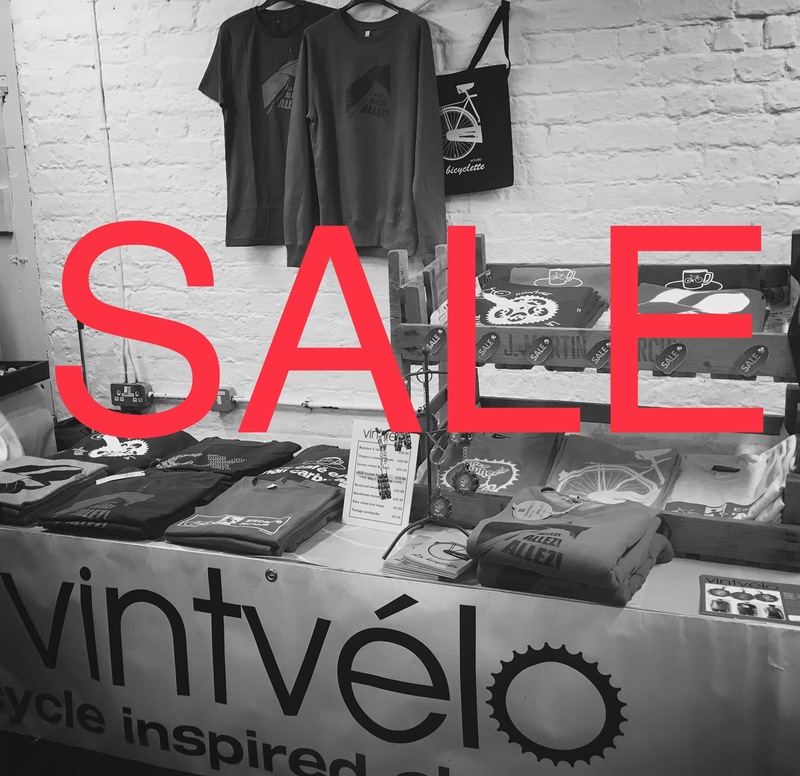 Plus savings on musettes and other accessories. For a limited time only. Shop now! Another victory for Chris Froome! 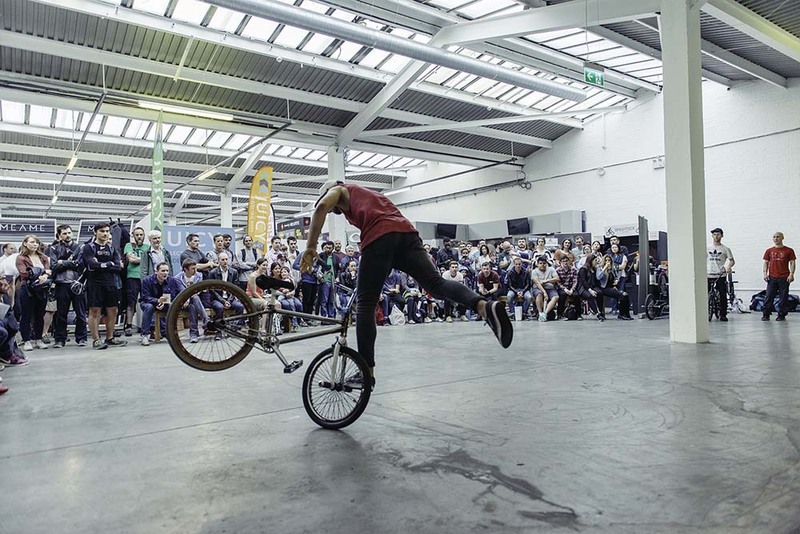 We’re giving away 10 x pairs of tickets, worth £30, so that you can join us at this year’s SPIN Cycling Festival 12-14 May at Olympia, London. To claim a pair of tickets make any purchase from our online shop – and enter “SPIN tickets” in the delivery instructions at checkout. Once 10 customers have claimed their tickets this post will be updated to indicate that they have all gone. Come and discover the perfect mix of bikes, innovation, technology, must-have accessories, apparel and style. 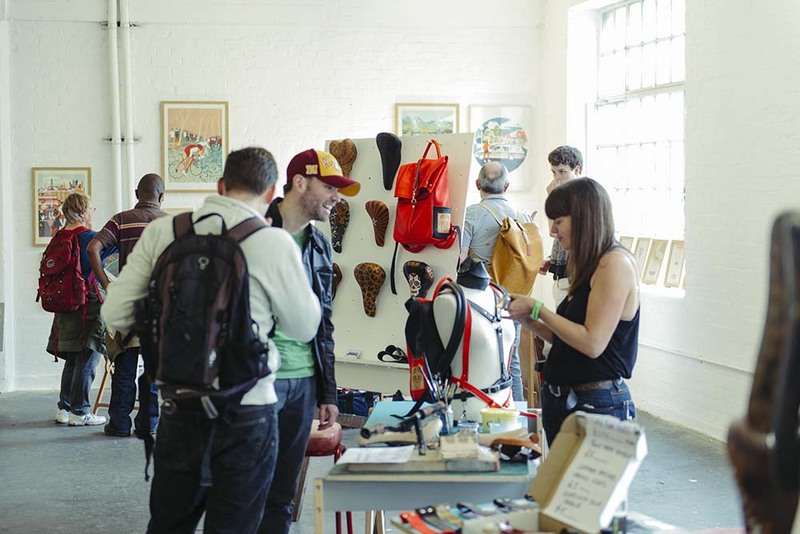 Whether you’re a road cyclist, weekend warrior, super commuter, fixie fanatic, art-lover or coffee aficionado, you’ll find an event that is jam-packed with over 150 of the best cycling brands, bikes, kit and culture in one location! 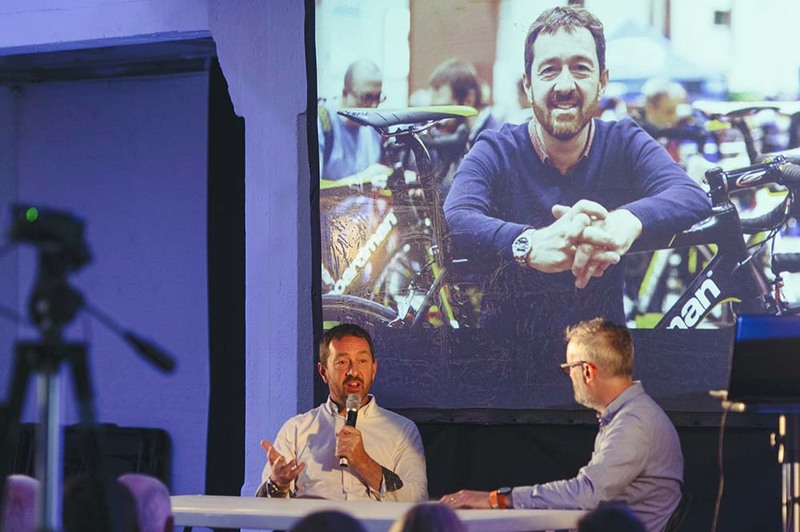 The Summit – Chris Boardman is back at Spin for the second year running along with over 100 expert speakers taking the stage. Listen to inspirational speakers, record breakers, Olympians, entrepreneurs and more. Day-Night test track – get a feel for your new wheels on the atmospheric track, featuring light installations and music. Makers’ Lounge – browse a selection of the world’s top frames and bikes crafted by international bike builders. Featuring: Donhou Bicycles, King Frameworks, Alba, Quirk + many more! The Art Hub – find something unique for your walls with some of the best cycling prints and artworks on the market. Fuel your ride with street-food, artisan coffee and craft beer. Open to residents of the United Kingdom only, must be aged 18+. One pair of tickets per customer. This is a new event for us in 2017 that we’re very excited about! Held at Olympia London you can discover the perfect mix of bikes, innovation, technology, must-have accessories, apparel and style. Whether you’re a road cyclist, weekend warrior, super commuter, fixie fanatic, art-lover or coffee aficionado, you’ll find an event that is jam-packed with over 150 of the best cycling brands, bikes, kit and culture in one location! Now in its 3rd year Sams Ride is a charity sportive for Salisbury and District Samaritans. We’ll be set up in the festival area of Ride HQ at the stunning location of Snoddington Manor, Shipton Bellinger. The same day as the Farnham Charity Bike Ride, there is also a hill climb and plans are underway to arrange a closed road crit. 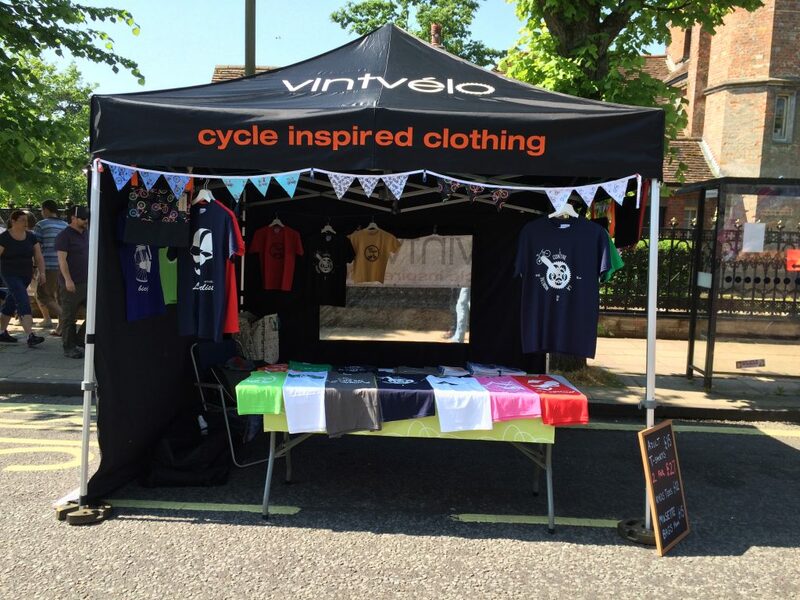 We’ll be located in the ‘velo village’ at Farnham Maltings joining the celebration of cycling which includes trade stands, displays, competitions, films, workshops, cycle jumble in a relaxed, family-friendly setting. 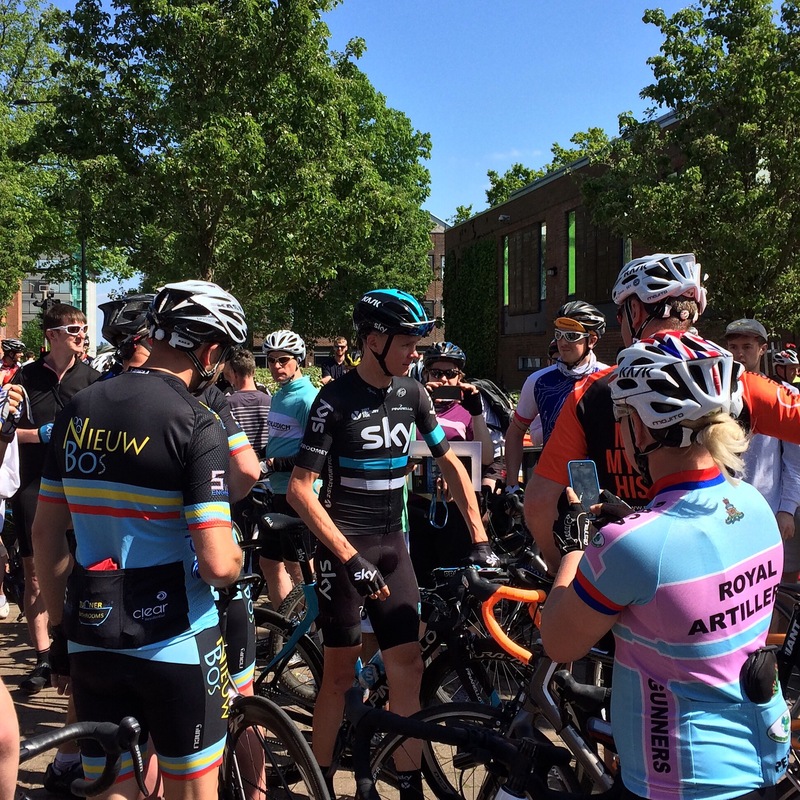 This event incorporates the Chiltern 100 Sportives, the Amersham Classic, and Chiltern Cycletta women’s ride. 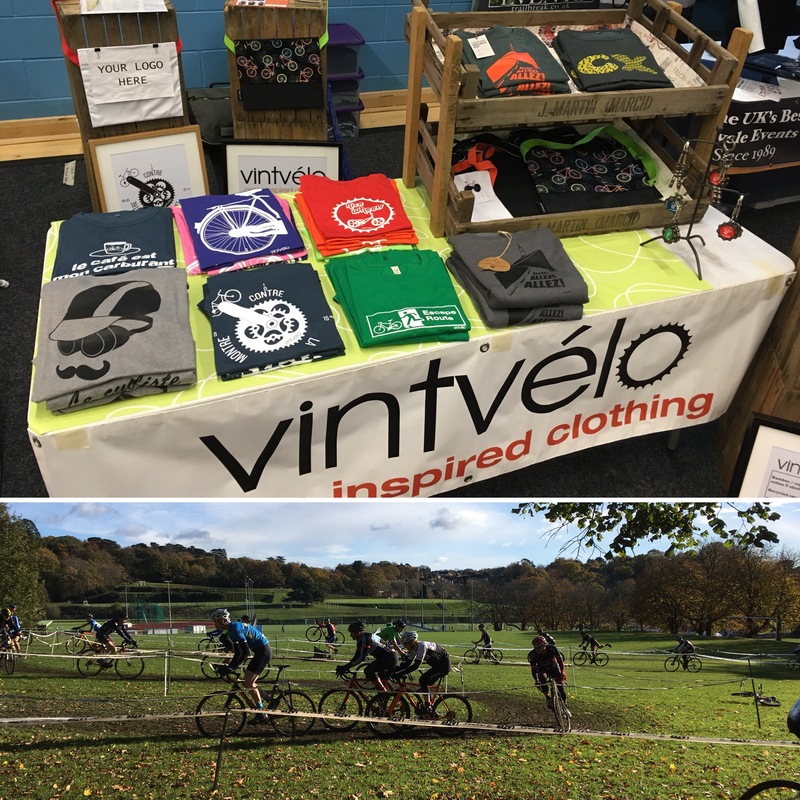 Set in the grounds of Penn House, Amersham, the festival includes 30+ vintage stalls, cycling fashion and gifts at the velo village. Craft beer plus LIVE coverage of the mountainous Stage 15 of the Tour de France. Now in its 10th Year and jam packed with 3 days of awesome bike related madness, races, challenges for all ages and abilities. And quite a lot of beer! Of course we’ll be there. 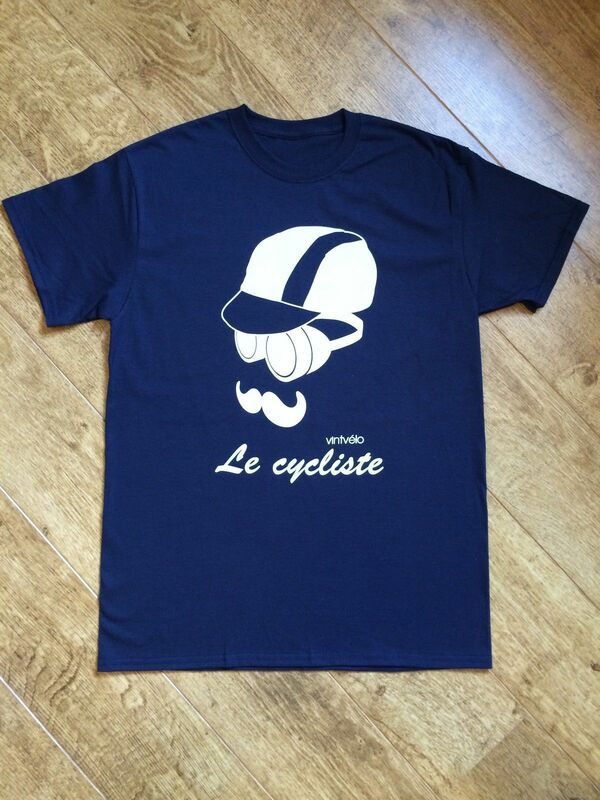 Our popular “Le Cycliste” is now available in a slim fit, using 100% organic cotton T-shirts. 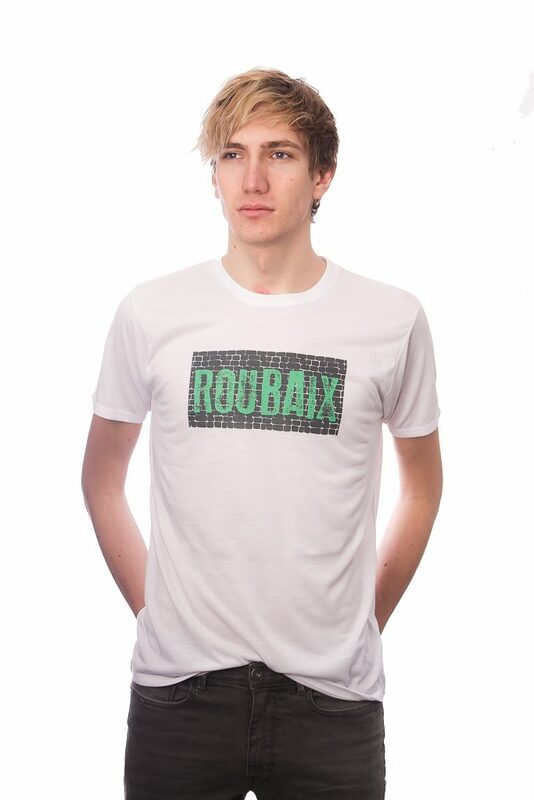 Not only are these T-shirts extremely soft with a great looking fit, they are manufactured solely using renewable green energy from wind and solar power. Plus they are produced under Fair Wear Foundation conditions, ensuring ethical standards for the workers that make them. 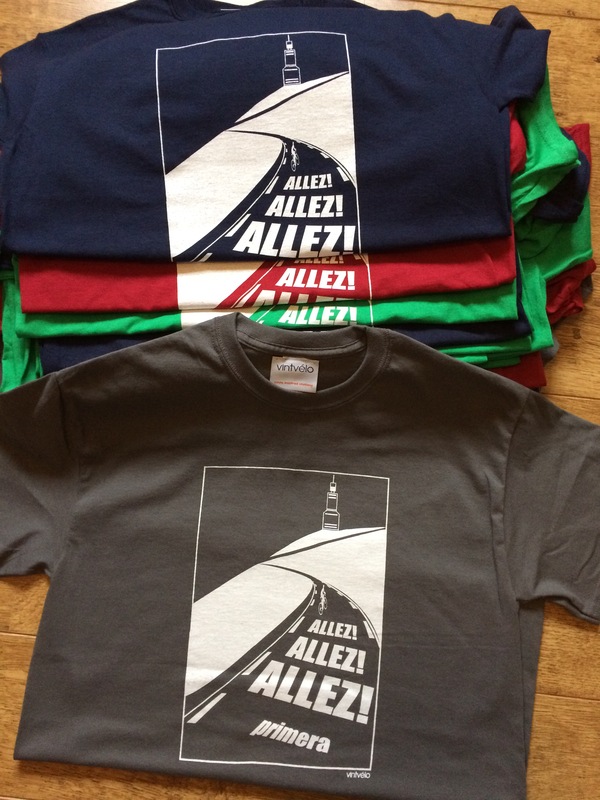 All Tees a tenner ’til Tuesday! 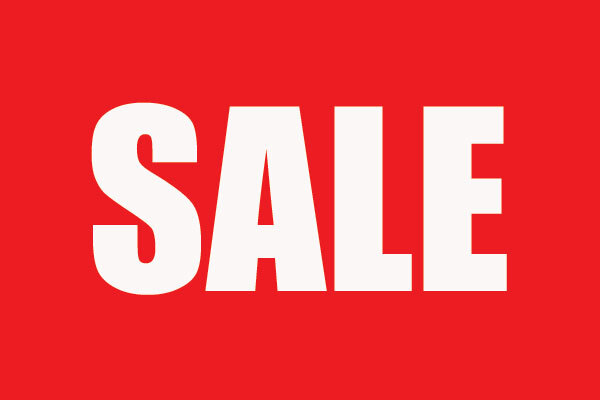 Further reductions in our January Sale. All T-shirts are now down to £10.00! Offer ends on 31st January. 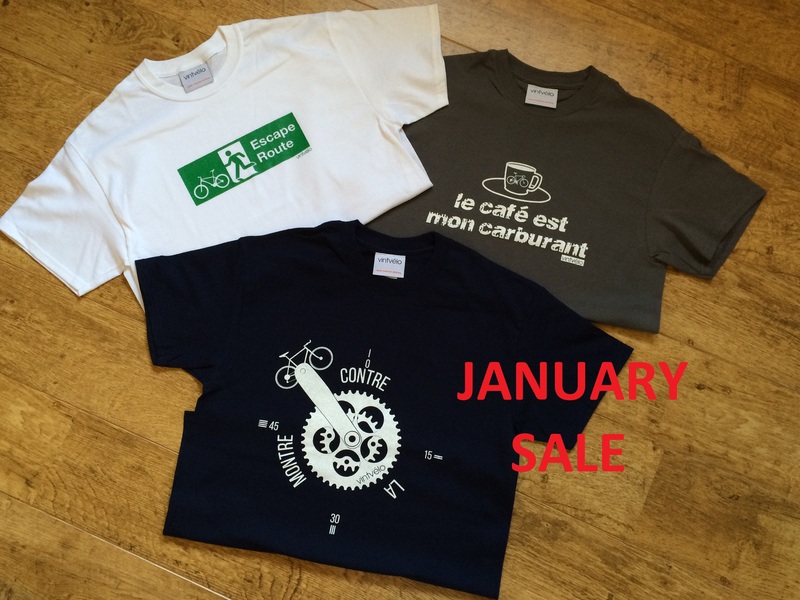 Our biggest ever SALE is now on with all T-shirts reduced until the end of January. Visit our online shop while stocks last! 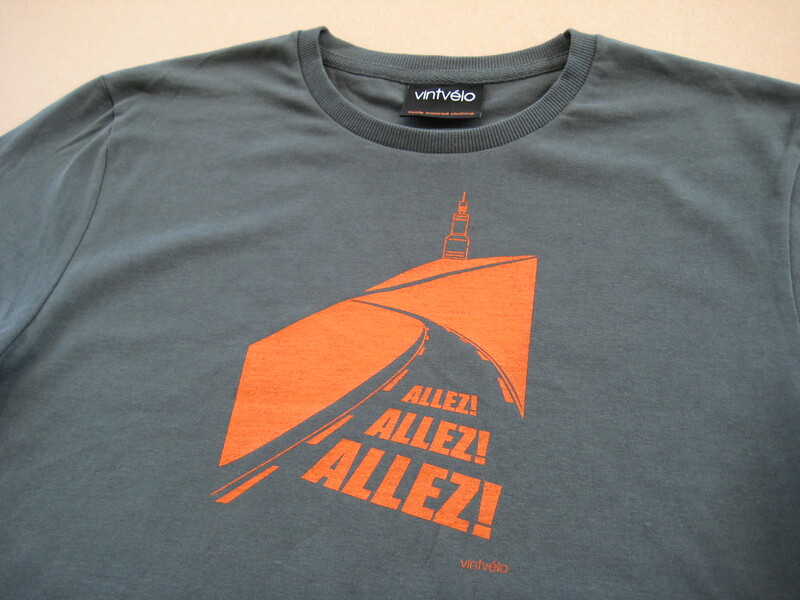 Last month we designed and created these special edition Mont Ventoux T-shirts for Primera Sports. This weekend we’re at the Christmas craft & gift markets in Winchester Guildhall. 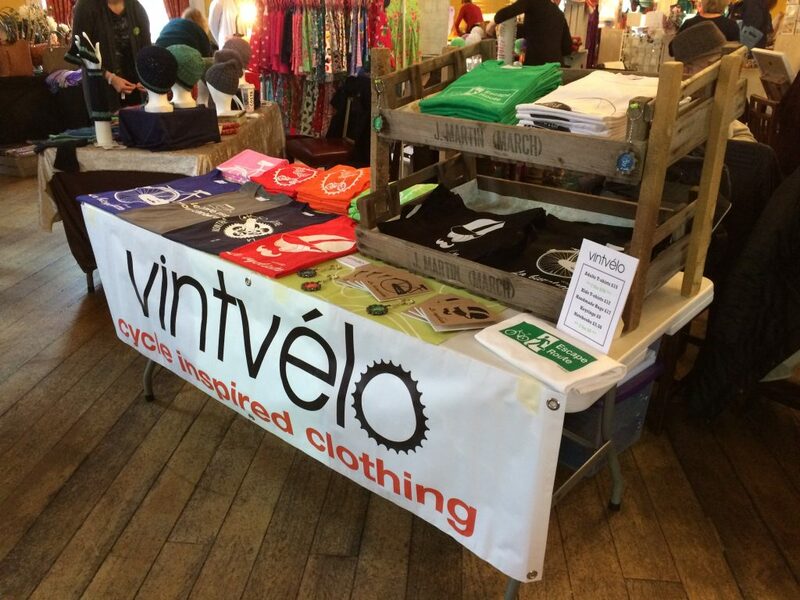 We’ve some great gift ideas for cyclists so if you’re out and about why not drop by. Our stall can be found in the Bapsy Hall. Over the next 3 weeks we’re out and about at the following markets. 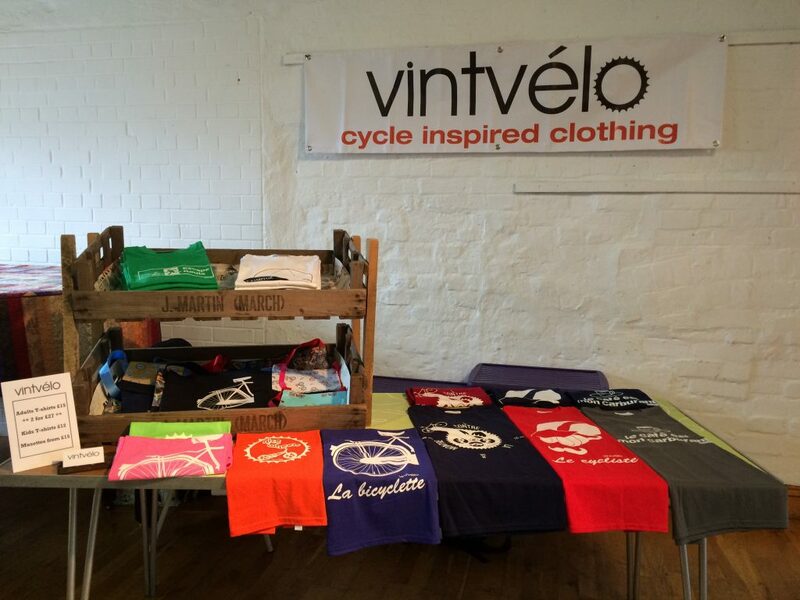 Come and check out our T-shirts plus other gift ideas for cyclists! We’ve just added these cheeky little notebooks to our online shop! 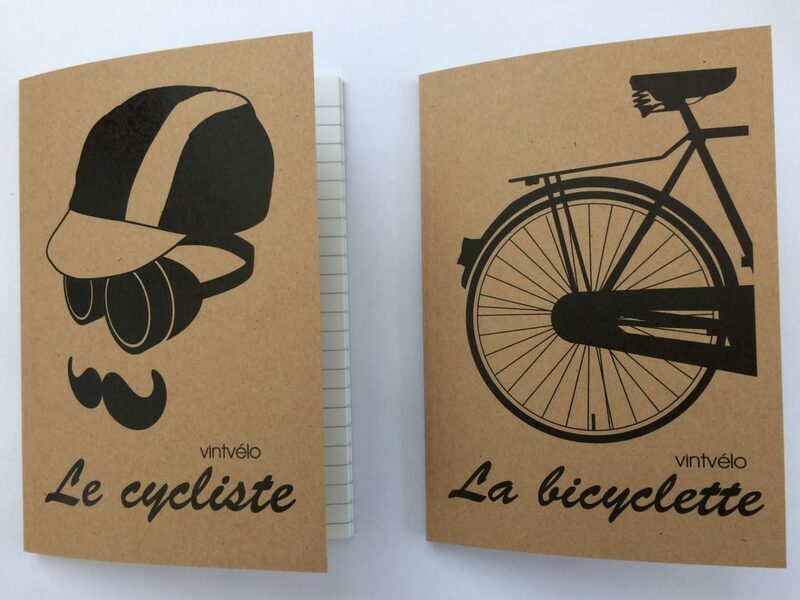 A6 sized mini notebooks for writing down your cycling goals, lists of bikes & kit you need to buy, or just random scribblings. 48 lined pages, cover made using brown recycled card. 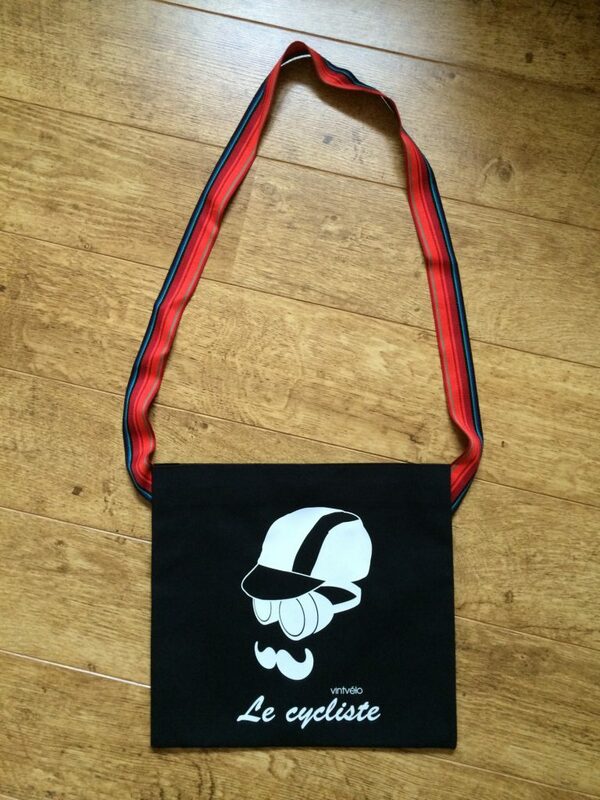 You bought the T-shirt, why not buy one of these to go with it ! 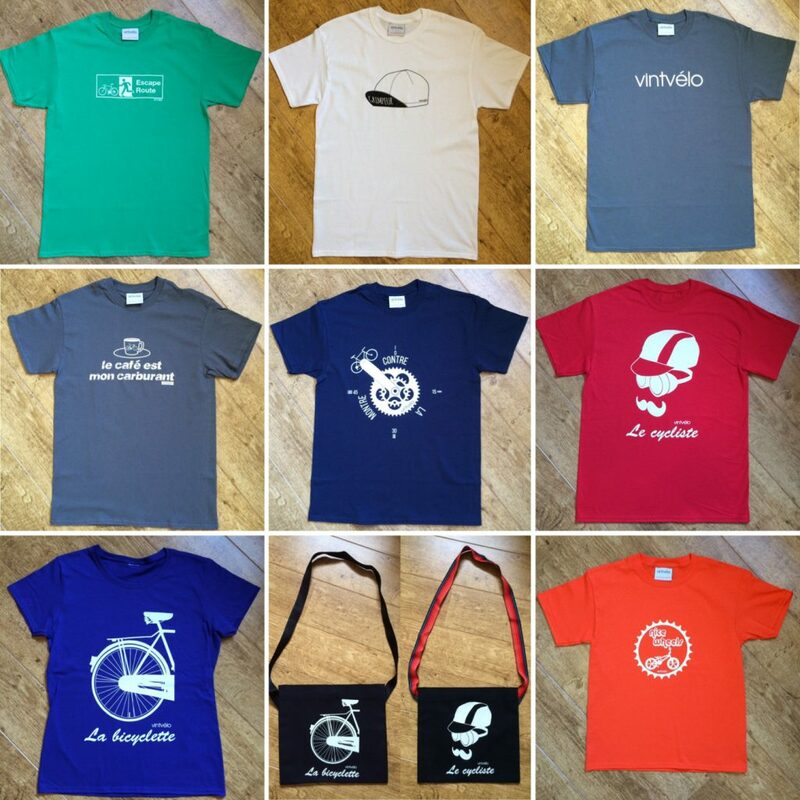 Our unique T-shirts and handmade cycling musettes make great presents for cyclists. So over the coming months we’ll be attending a number of local craft and gift markets. The first of these is this Saturday 20th October in Lymington. The market is being held in the Masonic Hall located on the High Street. Free entry to the public, open 1000-1600. More details to follow of future markets in Romsey, Winchester, Salisbury and Farnham. Having spent the last few months travelling the length and breadth of the UK with our pop-up shop, back home for September we thought we’d treat our customers to our biggest ever sale ! With savings of up to 25% across the range, plus even bigger savings on discontinued lines. So please check out our online shop. 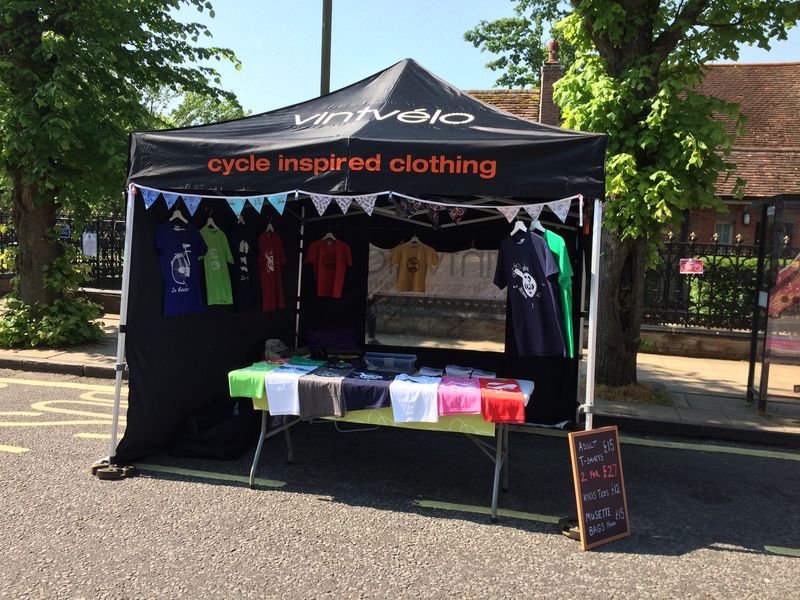 It’s been a whole year since we first ventured out with the pop-up shop to Winchester Park & Ride for Sotonia’s Criterium event. Really looking forward to returning to this superb event this year, with our growing product range. 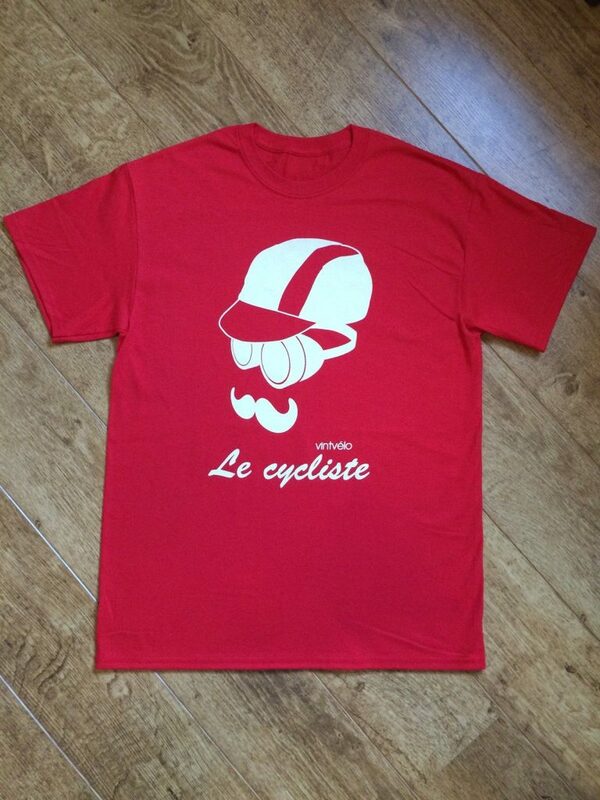 Loads of new designs for adults, plus kids T-shirts, ladies specific T-shirts, and our handmade cycling musette bags. 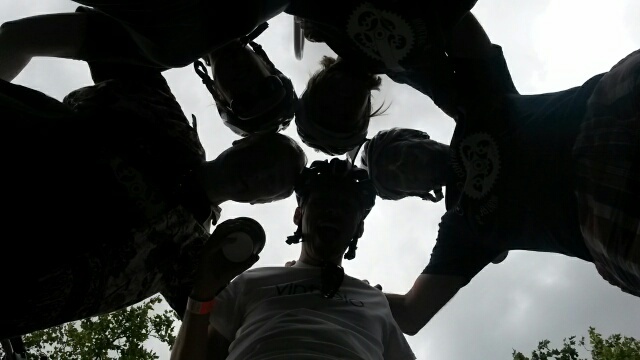 This year’s event is supported by The Hub Cycleworks, plus there will be a DJ and fresh coffee! 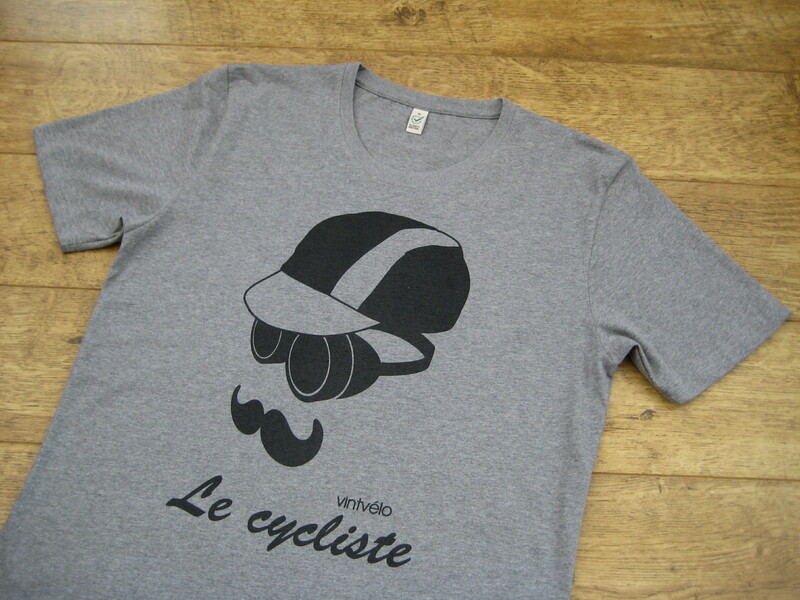 “Le cycliste” is our very latest ‘vintage inspired’ design to join the range. Available in red or navy blue. 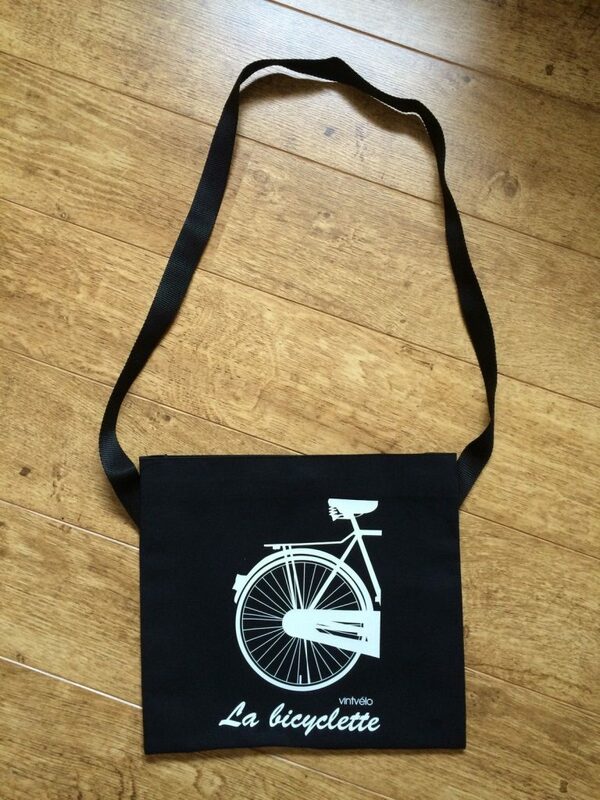 This design can also be bought on our handmade musette bags. 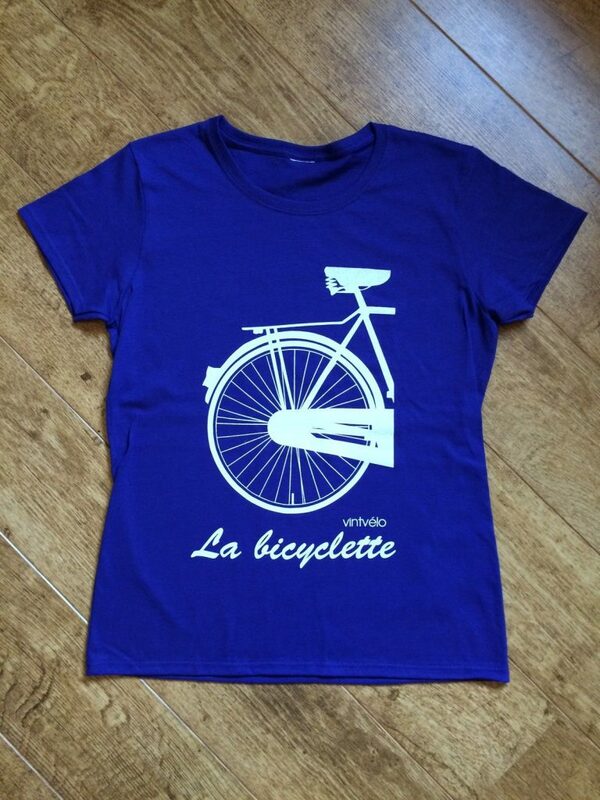 We are very pleased to introduce a specific ladies-fit T-shirt to the range. These T-shirts are semi-fitted, 100% heavy cotton and available in sizes 10-16. 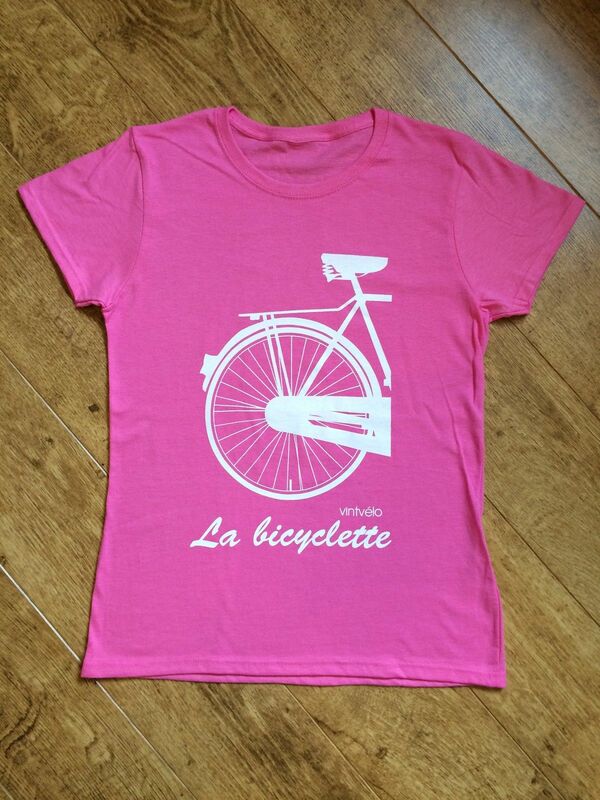 Our first design “La bicyclette” is available in either pink or blue. Visit the shop to order yours!